Anyone who doesn't skate will find this to be the most boring post I've ever written. Even skaters who aren't gear-obsessed are going to rate this as super-dull. You've been warned. I won't be offended if you stop reading and come back tomorrow. But DO come back tomorrow because I've got local sweets and an incredible giveaway! So, here it is. You probably know I love my Antik boots and Bones ceramic bearings, while I tolerate my Sunlite plates. 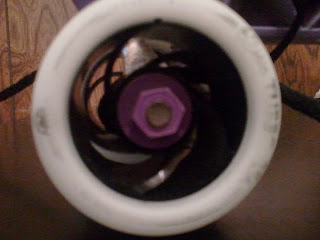 I was doing pretty well with a mix of Stinger 88a and Stroker 98.5a wheels, but all were getting pretty worn-down. So I did some research and asking around. My husband seems to enjoy the gear part of derby more than anything, so he looked over my shoulder whenever I would look at wheels online. I decided on Roller Bones Turbo 88a wheels, and he strongly agreed for some reason. When I picked them up from my friend at Stripped Gears, there were only six 88a wheels in stock. After much hemming and hawing, I decided on a split of four 85a and four 92a. I've been liking to stagger my wheels for quite some time now anyway. 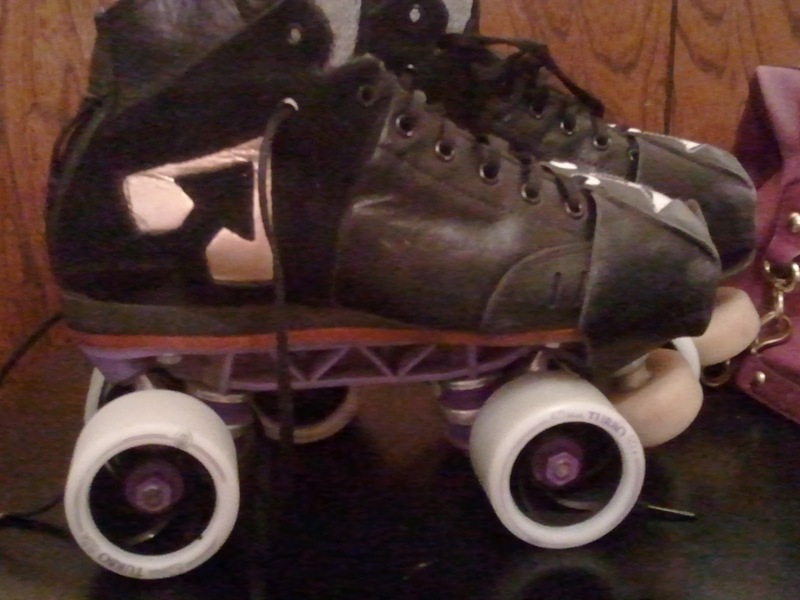 The first time I skated on them was at an open skate that night. Despite a different floor than I usually skate on, I was quite impressed and declared the purchase a success. They're one of the pricier models out there right now, so I was afraid. Then at practice on Sunday morning, I put these to the test at River Roll. I AM IN LOVE. I'm able to do crossovers through the turns more often, and these stick fantastically. I can feel where the 85a wheels are and they sometimes feel a tad sluggish, but not enough to make me worry. I may end up trying all 88s in the future. These are shaping up to be some expensive skates, but breaking the process into stages softens the blow. If anyone has any gear they particularly love, please let me know! Why I Was Absent: Miami, Baby! Lil Bitty Bites: A Giveaway!